This product made of high quality wood is women’s favorite item to procure. The rectangular box is crafted with the art form that is practiced Read More..in Rajasthan. 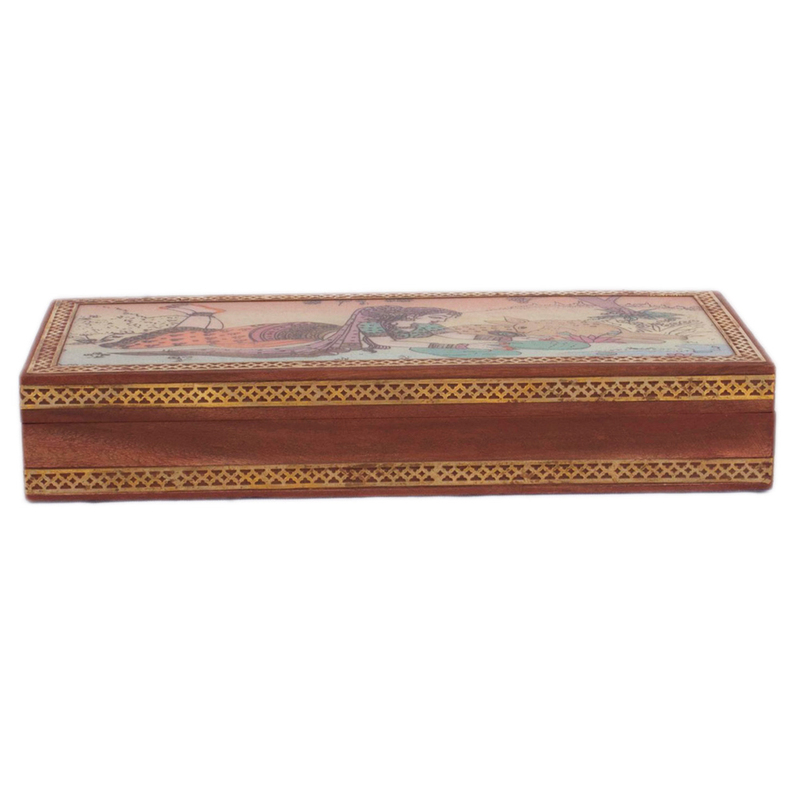 Depiction of beautiful scenery on the box, where the centre character is a traditional Indian lady from Rajasthan truly institutes the artistry with grace. It is 100% hand painted & the classy design & borderline decoration establishes the creativity with intricacy. 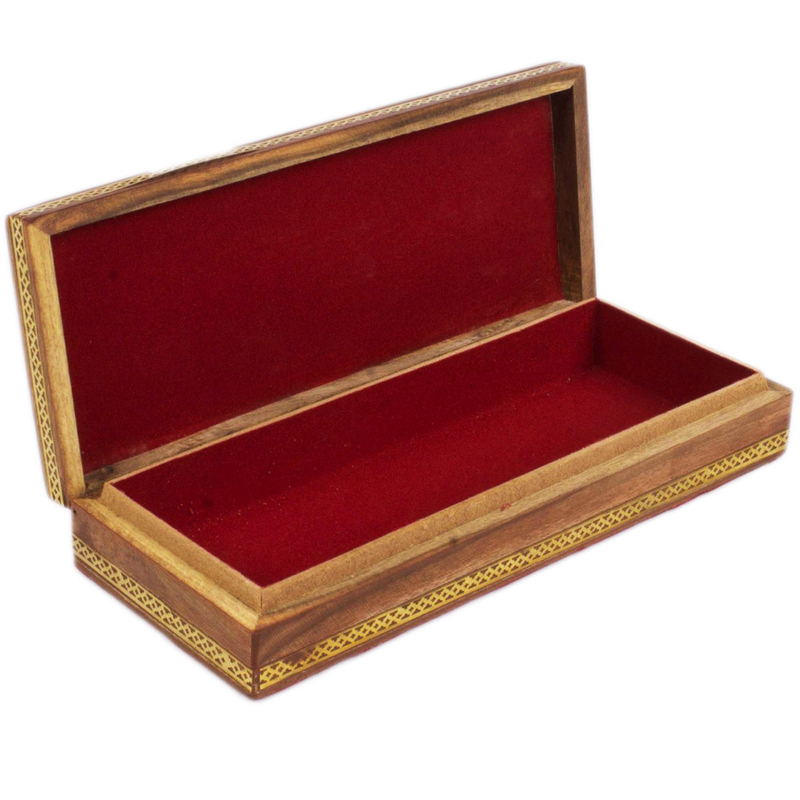 This jewelry box is apt for keeping necklaces, bangles, rings & other stone jewelries safely. Overall appearance of this box will definitely provoke you to have it. This art piece is one the most exclusive product to showcase in boontoon. So, happy shopping! Show Less..